Even in today’s digital world, nothing beats a live meeting or conference. Trade shows and conferences remain one of the most valuable and effective opportunities for face-to-face interaction and networking. The upcoming ICMA Card Manufacturing & Personalization EXPO, March 31-April 1, 2019, will focus on how the world transacts, bringing together the pioneers and trendsetters of the card industry—from gift cards to loyalty cards to identification and financial cards. 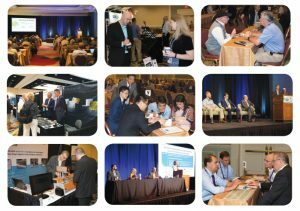 As the world’s only manufacturing-focused global card conference and exhibition, the event will showcase new and exciting ways to apply science, engineering, tools, methods and knowledge to the development of equipment, products, services and eco-friendly materials that will launch the card industry into a new era of innovation. As a global meeting of leading card industry professionals, the EXPO, which features more than 50 exhibitors, is full of information sharing and networking opportunities. With dedicated exhibition hours, a great way to prepare for this year’s EXPO is to think about your goals and work backwards from what you hope to achieve through speed networking. Don’t get caught up in the “speed” element. Your interactions should be simple and polite. That will give you a chance to initiate one-on-one business relationships and generate leads. After the event, don’t forget to follow-up with the people you’ve met—it is one of the most overlooked steps. Staying in touch is a crucial part of networking. 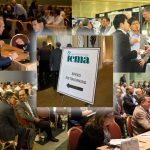 As you meet exhibitors, card manufacturers and personalizers, colleagues and presenters during the ICMA Card Manufacturing & Personalization EXPO, lead with your 30-second elevator pitch. Share who you are, what you do and why you are attending. Most people have one elevator pitch that they use for everything. This is a mistake for conferences. It’s a good idea to create three variations of your pitch so you can tailor it to the people you are meeting. Don’t forget to bring plenty of business cards. It’s always beneficial to arrive early and stay late at the EXPO. Being present in the “off hours” allows you to meet and have conversations with influential people in the field. You can review the agenda ahead of time to plan your days. You may also want to rethink how you use your breaks. Many people spend the time in between presentations checking in with their office, but it is one of the best times to make connections. Don’t dismiss the social activities—the golf outing, reception and Élan Awards dinner and ceremony—as networking opportunities. You may also want to consider having dinner with prospects to network. Social media is ubiquitous, especially at conferences. It has transformed networking into a 24 hour-a-day operation, where the boundaries between our social and professional lives are blurred. Social media is one of the best ways for initiating conference connections. About a week before the conference, try to connect with speakers, exhibitors and presenters through social media. During the conference, use LinkedIn to connect with the people you meet. You may also want to tweet your new acquaintances and say it was nice meeting them. In addition to making connections, you will get activity, retweets and follows—especially if you use the event hashtag #AllAboutTheCard. Get sharing. Take selfies. Tag your new friends. Tweet your favorite quotes, new findings and takeaways. When you are meeting people at the EXPO, don’t think about what you need or what you want to ask for. Instead focus on what you can offer them. 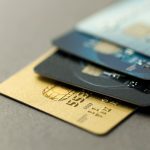 How can you help card manufacturers at the EXPO? What do you have to offer to card association members? You’ll be surprised how well that will work out for you. That is how you make lasting connections with potential business contacts. In addition to networking opportunities, the EXPO is packed full of educational programming and presentations, where you can learn from industry experts. This year’s lineup includes global leaders who manufacture and supply materials and services to the card manufacturing and card personalization industry. Take advantage of the chance to learn from and network with top card suppliers, personalizers and manufacturers. Bernard Baumohl, a chief global economist at The Economic Outlook Group will deliver the keynote address, “The Economic and Geopolitical Outlook: What are the Opportunities and Risks Ahead?” Baumohl has served as an economist at European American Bank and was an award-winning economics reporter with TIME magazine. Contactless Credit Card Payments in the U.S.
Don’t miss this year’s EXPO. If you haven’t registered yet, there’s still time. This premier event is sure to provide attendees from around the world with a truly unique and valuable experience.